The best juniors in Arizona, New Mexico and El Paso, Texas will be hitting the courts in Tucson, June 9-12 for the Southwest's premier summer tournament, the Junior Closed. 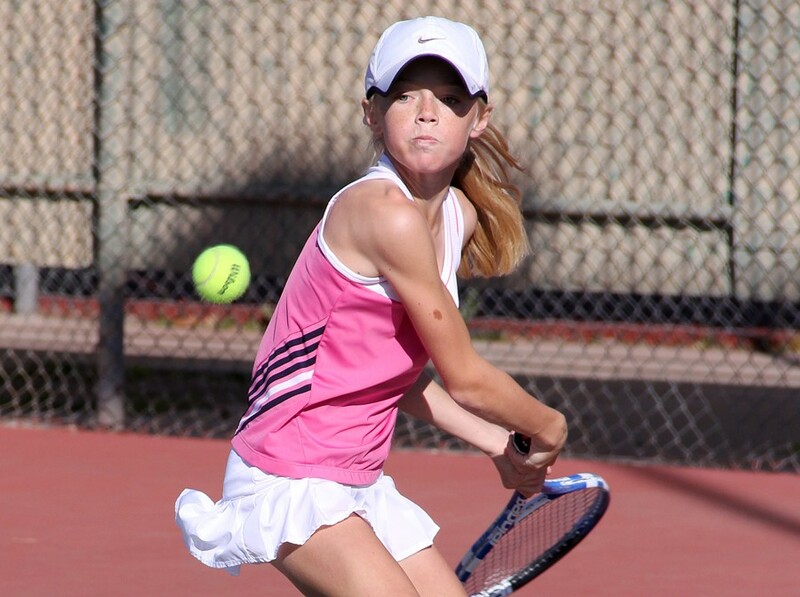 The USTA Southwest Junior Closed annually brings together the Southwest's top-ranked junior players to crown true ‘section champions’ in 26 separate divisions in singles and doubles, with the range of competitors from 8 and under all the way to 18 and under. The Southwest Junior Closed is an L3, the only tournament in the Section with this point designation, and on par with some of the country's elite national events. It is the Section's highest point producer for ranking purposes and is open only to residents of USTA Southwest. With just over 300 players, the event is also one of the largest junior events held in the Southwest, and will use multiple playing sites to field the numerous draws, including Hilton El Conquistador Golf & Tennis Resort and the El Conquistador Country Club, as well as Tucson Racquet Club and Reffkin Tennis Center. Most finals will be held on June 12 at the Hilton El Conquistador Golf & Tennis Resort. A Player Party will be held at Tucson Racquet Club on Saturday, June 10 at 6 p.m. There will be an $8 charge for dinner for parents, siblings and coaches. FlipBook Memories will be on hand to make fun photo booklet memories with booths and costumes for the kids. Windmill Suites- Hotel at St. Phillips Plaza - close to site of Boys 10s, 12s & 14s up until Tuesday. Also fairly close to Reffkin Tennis Center. Price to be determined on singles/double occupancy. Use code TBD. Call 1.800.547.4747 or 520.577.0007. Doubletree Tucson at Reid Park - Close to Reffkin Tennis Center, site of Girls 10s, 12s & 14s up until Tuesday. $TBD which includes breakfast. Walking distance to site. Three tennis courts on the grounds. 1.520.881.4200. ALL ABOUT TENNIS - Special thanks goes out to USTA Southwest Sponsor All About Tennis, the Southwest's largest retail tennis store. Please support All About Tennis, a consistent supporter of many USTA Southwest efforts, including the USTA Southwest League program, our summer junior travel teams and the Southwest Junior Closed. SOLINCO - A new sponsor has come on this year to help us with our Southwest Junior Closed, Solinco Sports. Solinco specializes in the development and production of the high quality, and technologically advanced performance tennis equipment. including racquets and strings. Solinco will be providing string for participants that reach the Round of 16 in and an assortment of other products for this year's Southwest Junior Closed.